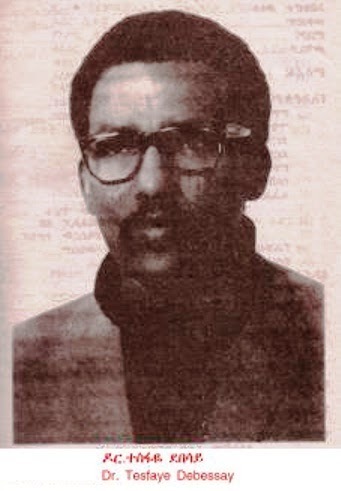 Afendi Muteki studied Economics at Addis Ababa University. But in recent years, he spends much of his time on studying the ethnography (history, language, culture and social institutions) of the peoples of East Ethiopia. This blog presents some of his articles and promotes his works. ይህ ዶ/ር ተስፋዬ ደበሳይ ነው፡፡ ኢህአፓዎች ከማንም በላይ የሚያከብሩትና የሚያደንቁት አርበኛና የለውጥ ብስራት ነጋሪ ፋኖ! የጽናትና የቆራጥነት ተምሳሌት ሆኖ በየዓመቱ የሚዘከር የዚያ ትውልድ ታላቅ ሰው! The writer, Afendi Muteki, is a researcher of the Ethnography and History of the peoples of East Ethiopia. You can read some of his articles on his blog and his facebook page and his blog. © Afendi Muteki, 2013. All rights reserved.. Simple theme. Powered by Blogger.